Will.i.am, born William James Adams, 43, not only founded The Black Eyed Peas but has produced music for some of the world’s biggest artists, including Michael Jackson, Justin Beiber, Britney Spears, David Guetta and U2. A household name in the music world, Will.i.am’s career has now led him to a spot on The Voice as a judge, for several series now. But it hasn’t all been plain sailing for the musician. 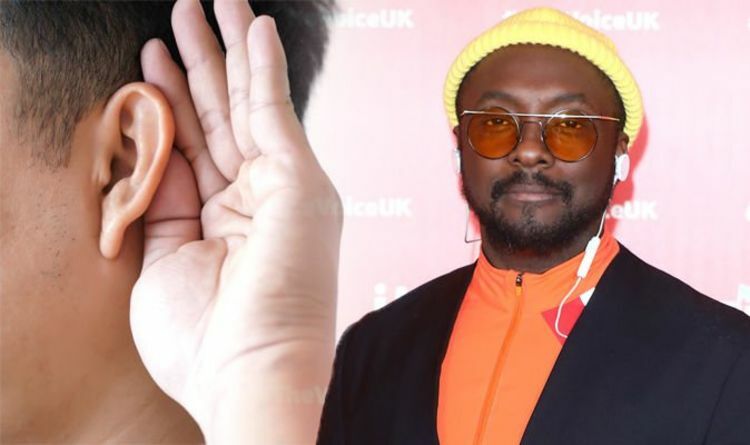 Just a few years ago, Will.i.am revealed he suffers from painful condition tinnitus. Tinnitus is the medical name for hearing noises that aren’t caused by an outside source. Ringing in the ears is one of the most notable symptoms. “I can’t be still. Work calms me down,” he told The Sun. “I can’t be quiet, as that’s when I notice the ringing in me ears. While the condition has affected other musician’s and how they perform in the past, such as The Who guitarist Pete Townshed, Will.i.am revealed the diagnosis has spurred him to make even more music. He explained: “I don’t know what silence sounds like anymore. The health body advises to see a GP if you have tinnitus regularly or constantly, your tinnitus is getting worse, or your tinnitus is bothering you – for example, it’s affecting your sleep or concentration. It adds: “Things you can try to ease tinnitus: try to relax- deep breathing or yoga may help. “Don’t have total silence – listening to soft music or sounds can distract you from the tinnitus. Research last year revealed one in five British adults are affected by tinnitus.